Aftermarket frames add intrigue to the Polaris Slingshot's license plate. With various colors and custom text options available, owners can select an option that helps them define the identity of their Slingshot. 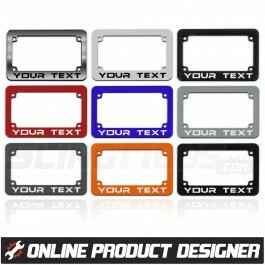 Upgraded license plate frames are fitted to the stock size of the Slingshot license plate and add detail where regular frames fall short.